Most of you don’t need the cargo capacity to land a helicopter on your rack. Sometimes, all you want to do is grab a sixer from the beer store on the way home, or pick up a nice bouquet of flowers. For whatever the situation dictates, we offer the 8-Pack Rack. 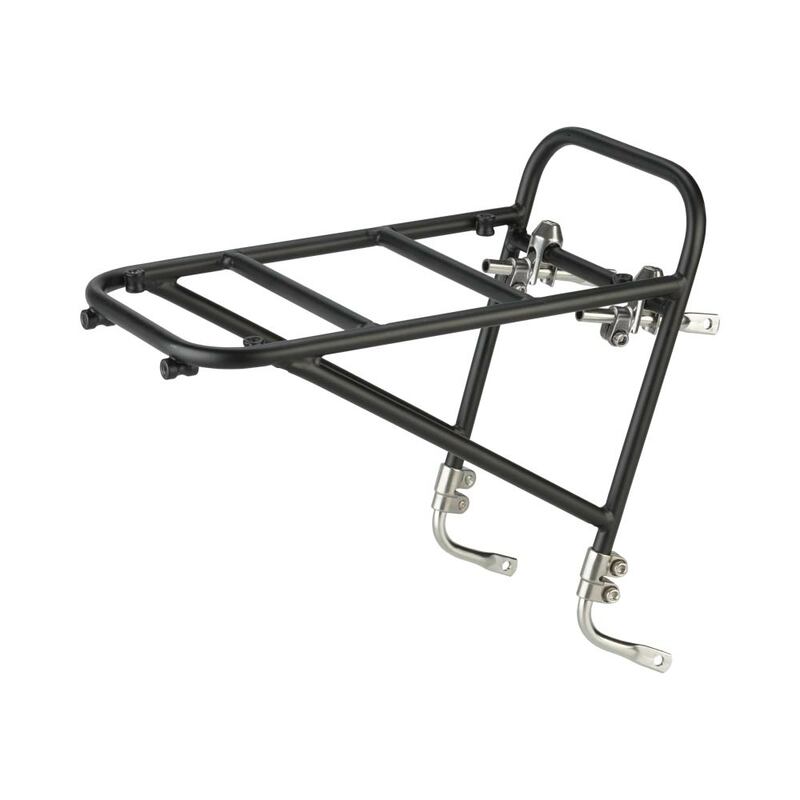 The 8-Pack Rack is a solid pedestal upon which you may rest a handlebar bag, grocery bag, minaudière, satchel…or whatever you use to carry your bowling ball around. 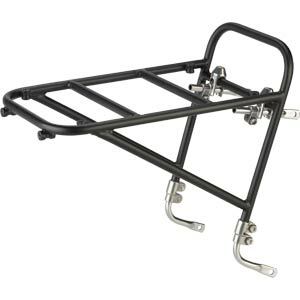 The 8-Pack Rack attaches to most forks with mid-blade and crown eyelets. 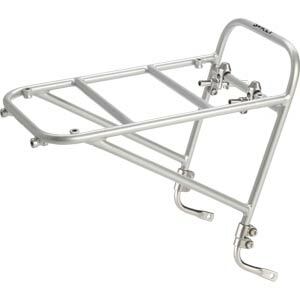 It uses stainless steel hardware (handily housed in a reusable Surly Tool Bag), and has the characteristic durability, versatility, and repairability all Surly products are known for. 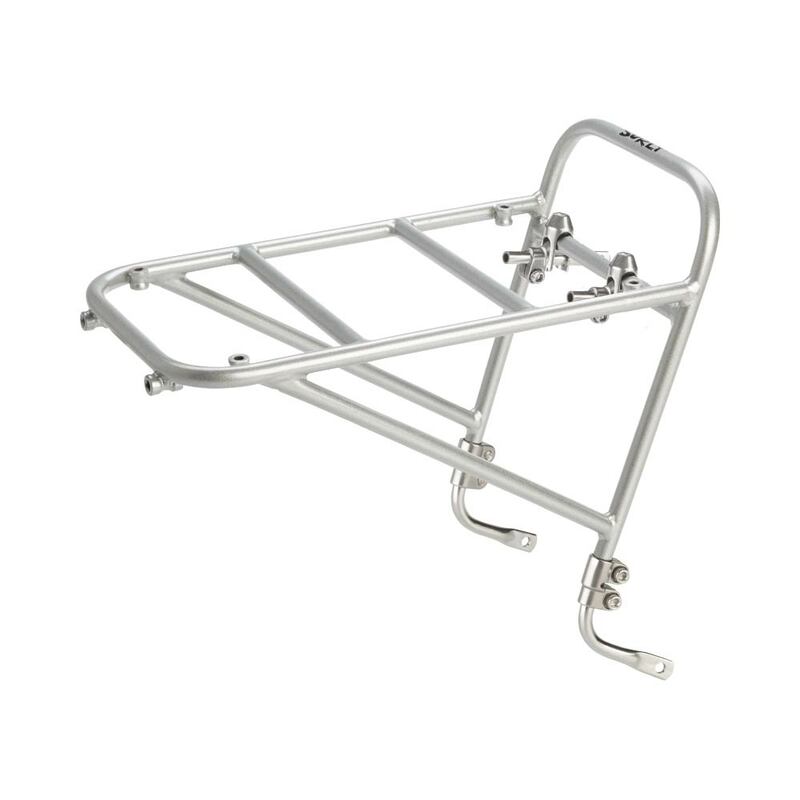 The 8-Pack Rack has lots of barrel braze-ons, so you can customize your cargo tie-downs…or just bolt on as many lights as you can.